The two young South Sydney NRL players -- Dylan Walker and Aaron Gray -- who, this week, were rushed to hospital with a suspected medication drug overdose, have been discharged and were remorseful and apologetic as they fronted the media. 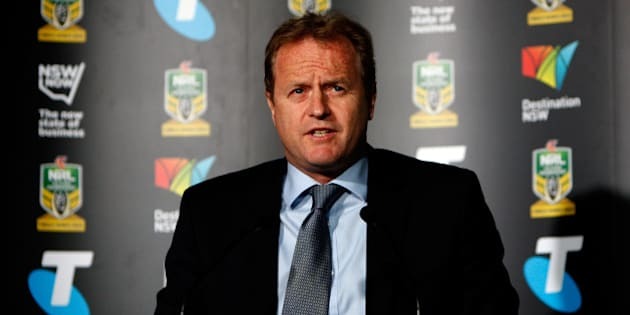 On a day when the NRL has said it does not believe the issue of the misuse of prescription drugs is a widespread one it does acknowledge players could be manipulating the monitoring process and players who have concerns are being urged to speak up. This stance has been met with some scepticism from the wider rugby league community. Jake O’Sullivan, the friend of the two players, who called triple-0 after waking to find his mates unwell, has also spoken publicly about what happened. There is no doubt that this incident -- whether it be a sign of a wider ongoing problem or not – is yet another issue for the NRL to take seriously and address quickly. The South Sydney CEO John Lee also spoke to media outside the hospital and stated the club would look to be at the forefront of a new testing trial for prescribed medicines. "We will take the responsibility to put in better protocols and to make the right changes and to have the right levels of education to prevent this from occurring again," he said.